Business executives’ outlook on the global economy slid sharply over the past year, amid concerns about trade conflict and other business impacts, according to the first-quarter AICPA Economic Outlook Survey. A little more than a third (34%) of survey respondents say they are optimistic about prospects for the global economy over the next 12 months, compared to 40% last quarter and 71% a year ago. Optimism about the U.S. economy has also declined over the past year but remains unchanged from last quarter at 57%. Expectations for profit and revenue growth over the next 12 months edged back up after a sharp drop last quarter. Profit growth estimates increased to 3.6% from 3.4% last quarter (the lowest rate since the second quarter of 2017), while revenue growth expectations rose a tick to 4.4% from 4.3%. Both profit and revenue growth forecasts are well below those from a year ago. The survey polls CEOs, CFOs, controllers and other CPAs in U.S. companies who hold executive and senior management accounting roles. The percentage of U.S. executives who expressed optimism about their own company’s prospects over the next 12 months fell from 68% to 65%, quarter over quarter. Survey respondents who said they expect their organizations to expand in the coming year also fell slightly, from 67% to 66%. Some 43% of business executives cited a global economic slowdown as their biggest concern regarding rising trade tensions, up from 36% who said the same in the third quarter of 2018, the last time the question was asked. Most U.S. business executives (71%) see a neutral impact to their company’s bottom line from Brexit, but the percentage who see a negative impact rose to 16% from 4% in the second quarter last year, the last time the question was asked. After availability of skilled personnel, the No. 2 and No. 3 challenges cited for businesses were “domestic compensation” and “employee and benefit costs,” respectively. The latter two flipped places in the past quarter. Finance teams lack the digital skillset to embrace the latest advancements in artificial intelligence, causing a negative impact on revenue growth, according to a new study from the Association of International Certified Professional Accountants (the Association) and Oracle. The study of more than 700 global finance leaders found that despite a clear correlation between the deployments of AI and revenue growth, 89% of organizations have not deployed AI in the finance function and only 10% of finance teams believe they have the skills to support the organization’s digital ambitions. The report, titled “Agile Finance Unleashed: The Key Traits of Digital Finance Leaders” highlights that 46% of tech-savvy finance leaders report positive revenue growth, compared with only 29% of tech-challenged leaders. Furthermore, organizations that have seen revenue growth are more likely to be deploying artificial intelligence compared to those where revenues are flat or declining. However, only 11% of finance leaders surveyed have implemented artificial intelligence in the finance function, and 90% say their finance team does not have skills to support enterprise digital transformation. William (Bill) Ezzell was a strong advocate for the CPA profession, particularly for students on the path to becoming a CPA and the educators who teach them. He also firmly believed that one of the best ways to inspire the next generation of CPAs was to ensure they were taught by professors with relevant, recent real-world experience. The AICPA Foundation created the William (Bill) Ezzell Scholarship to honor his passion by providing financial assistance to CPAs pursuing their Ph.D., the AICPA announced. The $10,000 scholarship will be awarded annually to five outstanding accounting Ph.D. candidates who demonstrate significant potential to become mentors for the next generation of CPAs. 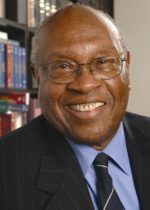 The William (Bill) Ezzell Scholarship joins AICPA’s Accounting Doctoral Scholars Program, Minority Doctoral Fellowship and other initiatives to advance higher education in accounting. Those who wish to apply or learn more can visit ThisWaytoCPA.com for a full list of application materials and requirements. The application period is open and will run through March 1, 2019. Applicants will be notified of acceptance by June 2019. 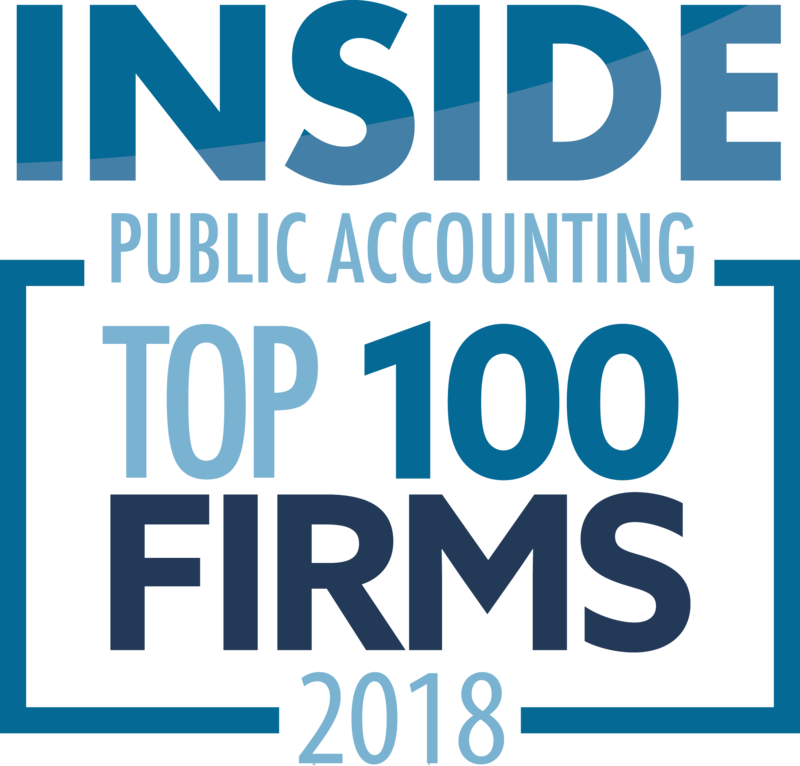 For more information or to schedule an interview, contact James Schiavone, public relations manager at james.schiavone@aicpa-cima.com or 212-596-6119. When it comes to finding the perfect job, a newly published AICPA survey of 2,026 U.S. adults, among whom 1,115 were employed, suggests it’s about a lot more than the money. And with 29% considering switching jobs in the next year, employers need to be ready to show them the benefits. Employed adults estimate, on average, their benefits represent 40% of their total compensation, according to the survey conducted online by The Harris Poll for the AICPA in April 2018. However, per the Bureau of Labor Statistics, benefits actually average 31.7% of a total compensation package. Americans are actually overestimating the value of the benefits available to them. But they clearly see value in workplace perks – by a 4-to-1 margin, they would choose a job with benefits over an identical job that offered 30% more salary but no benefits. Nearly 88% are confident they understood all the benefits available to them when they accepted their current job. Similarly, 86% are confident they have kept up-to-date with changes to those benefits, and 86% are also confident they know where to get information about how to use their benefits. Surprisingly though, only 28% are very confident they are using their benefits to their fullest potential. When asked which three workplace benefits would help them reach their financial goals, more than half of Americans cited 401(k) match (56%) or health insurance (56%), while around a third cited paid time off (33%) or a pension (31%). Additionally, about 21% cited flexible working hours, and 15% cited working remotely. As seen in generational breakdown below, Baby Boomers put a significantly higher priority on health insurance and having a 401(k) match than the younger generations. Notably, of all benefits listed, the desire to have a pension saw the largest discrepancy amongst generations. More than half of Baby Boomers (54%) prioritized including it in their top three, compared to only 16% of Millennials. Millennials, now the largest generation in the workforce, put a higher priority than both GenX and Baby Boomers on benefits that are most commonly associated with work-life balance such as paid time off, flexible work hours and working remotely. Employers competing for this talent should consider this shifting scope of desired benefits if they want to attract the best employees. This Harris Poll was conducted online within the United States on behalf of AICPA between April 24 and 26, 2018, among 2,026 adults aged 18 or older. A new whitepaper lays out the business case for workflow automation tools to improve CPA firm performance. The whitepaper, Using Operational Data & Analytics to Improve Firm Productivity & Profitability, was sponsored by CPA.com, a subsidiary of the AICPA, in partnership with XCM, a provider of workflow automation. XCM is the only productivity enablement and workflow platform endorsed by the AICPA. Performance improvement is typically driven by practice management and reporting that is done afterward, the whitepaper says, but that is no longer enough today. Firms can take advantage of real-time analytics to get better insights into business performance, leading to better decisions. Workflow platforms also enable standardized processes across departments and roles, and total transparency of firm operations. The result is a more efficient and profitable operation, the whitepaper says. The report was written by Randy Johnston, CEO and founder, Network Management Group and K2 Enterprises, and Mark McAndrew, vice president of consulting services with XCM Solutions. “Why would you handicap your firm by not providing your team the best management workflow technologies available? Do you have bigger problems to solve than making your team as effective as possible? If you want to have a world-class professional services organization in the modern environment, you must use world-class management technologies,” the report says. 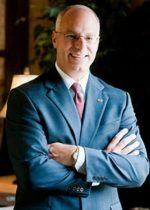 The AICPA has announced that Lester H. McKeever Jr. is the recipient of the 2018 AICPA Gold Medal Award of Distinction, the highest honor granted by the AICPA. 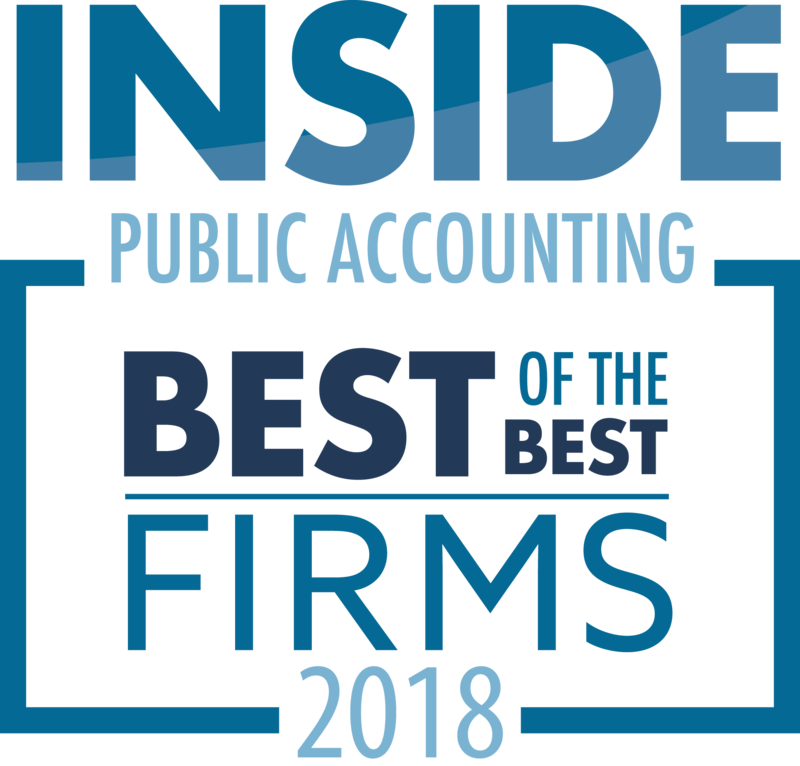 Since 1944, the award has been bestowed upon CPAs whose influence on the accounting profession has been especially notable. Lewis Sharpstone, a member of the awards committee, presented McKeever with the award at the fall meeting of AICPA’s governing council. 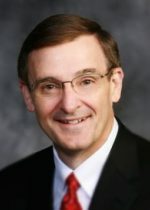 McKeever has served as chairman of the Federal Reserve Bank of Chicago, chair of United Way Chicago, chair of the Chicago Urban league and board treasurer of the University of Illinois. For his more than 25 years of volunteer service to the Illinois CPA Society (ICPAS), McKeever has been recognized with their Lifetime Achievement Award. In 2016, ICPAS renamed their awards for members working to advance diversity in the profession after McKeever. His volunteerism at the national level has included terms on the AICPA’s Small Business and Minority Business Development Committees. A list of previous recipients is available on AICPA’s website. The AICPA has announced that four members have been honored with the Sustained Contribution Award. The annual award recognizes CPAs who have contributed measurably to the AICPA and the accounting profession through their dedication to volunteer service. Each recipient has participated in a volunteer committee, task force or resource panel for 20 years or longer and has served at least once as a chair of an AICPA group. Albert Ray Denny, Wichita, Kan.
Annette Nellen, San Jose, Calif.
William R. Pirelli, Warwick, R.I. Since the AICPA began, member volunteers have contributed to the Institute and the profession by participating in approximately 180 different volunteer groups. The AICPA has announced that 41 young CPAs from around the country have graduated from its rigorous, four-day 2018 AICPA Leadership Academy. The academy gives participants access to advanced leadership training, networking activities and presentations from some of the profession’s top thought leaders. This year’s event was held in Durham, N.C. The 2018 class discussed key issues and interacted with influential leaders in the profession including Eric Hansen, chair, President and CEO Barry Melancon and Mark Koziel, executive vice president of firm services. Paul Arab, Home Federal Bank of Tennessee, Knoxville, Tenn.
Chris Bell, Arkansas Electric Cooperatives, Inc., Little Rock, Ark. Ashley Bryan, Threaded Fasteners, Inc., Mobile, Ala.
Joseph Caplan, Mazars USA LLP, Edison, N.J.
Jenna Christensen, Eide Bailly LLP, Mankato, Minn.
Kenesha Coleman, AbbVie Inc., North Chicago, Ill.
Sara deJuliis, Albero Kupferman & Associates LLC, Wilmington, Del. 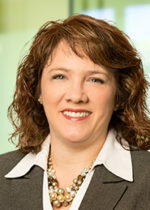 Samantha Doe, Kositzka Wicks & Company, Alexandria, Va.
Kamal Eko, Aronson LLC, Rockville, Md. Natalie Heacock, Patrick Lumber Co., Portland, Ore.
John Hermus, Sheehan & Company CPA PC, Brightwaters, N.Y.
Chris Hervochon, eviCore Healthcare, Bluffton, S.C.
Deena Keasler, Topp McWhorter Harvey PLLC, Hattiesburg, Miss. Katie Krblich, Charles A. Krblich PA, Fort Lauderdale, Fla.
Lijah Lokenauth, Tampa General Hospital, Tampa, Fla.
Danny Manimbo, Schellman & Company, Broomfield, Colo.
Kelly Mann, Seim Johnson, Omaha, Neb. Damien Martin, BKD, Springfield, Mo. Ashley Miller, Plodzik & Sanderson PA, Concord, N.H.
Maddie Miller, Wipfli LLP, Bozeman, Mont. Bayaan Oluyadi, CohnReznick, Roseland, N.J.
Sarah Peltakian, Raimondo Pettit Group, Irvine, Calif.
John Perkins, Accuride Corporation, Evansville, Ind. Aaron Peters, Peters & Associates PC, Falls Church, Va.
Leanna Polidoro, Matrix Financial LLC, Wellesley, Mass. Michelle Schumacher, Microsoft, West Fargo, N.D.
Garrett Stenhouse, DiSanto Priest & Company, Warwick, R.I.
Melanie Urwiller, Lenhart Mason & Associates, LLC, Casper, Wyo. Lauren Williams, Johnson Lambert LLP, Raleigh, N.C.
Gary Wood, Compere Robinette CPAs, Ozark, Mo. Katie Zahner, Brown Smith Wallace, Creve Coeur, Mo. In this fiercely competitive economic climate, companies are increasingly aware of the importance of managing and reporting on their financial, social and environmental risks and opportunities – often referred to as the triple bottom line, according to the AICPA. Furthermore, in order to rely on this information, investors are looking for this reported sustainability information to be independently assured. CPAs – The preferred choice for assurance on sustainability information. This brochure helps CPAs articulate the value of CPA assurance to clients by outlining the differentiating factors, including adherence to rigorous assurance standards and practice guidance. Key sustainability terms defined. This document helps familiarize CPAs with key sustainability-related terminology. Sustainability: The world wants it. Can you deliver? This fact sheet highlights the growing demand for sustainability assurance services as well as the comprehensive sustainability assurance guidance available to CPAs who wish to provide such services. Seven steps to implementing the Sustainable Development Goals (SDGs). This document introduces the SDGs and highlights seven steps companies can take to implement the SDGs.